We are very pleased to welcome Thorn Mooney to The Atlantis Bookshop for the first time. She is an exciting new author for Llewllyn and has a wealth of things to say about Traditional Wicca. While there are many powerful variations of contemporary Witchcraft, traditional Wicca offers unique experiences for those who seek it out. 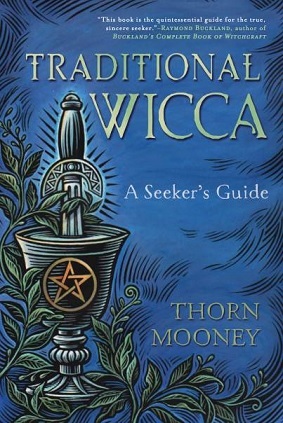 Her book explores structured, coven-based styles of Wicca, in which the practitioners typically trace initiatory lineages back to Wicca’s early founders. Discussing covens, initiations, lineages, practices, ethics, and more, “Traditional Wicca” shares tips and ideas on how to get the most from this profound approach to Witchcraft. Thorn Mooney is a witch of more than twenty years and leads a Gardnerian coven in the American South. She holds an MA in religious studies from the University of North Carolina at Charlotte and has presented her scholarly work at professional conferences across the United States. She works as a teacher, lecturer, tarot reader, and writer. For more information check out her website. It is important to reserve your place by paying in advance for this evening, so please either click the PayPal button below (which will allow you to pay online even if you don’t have a PayPal account – just use the “checkout as a guest” option) then email me with a contact phone number in case I need to get in touch, or call 020 7405 2120 if you would prefer to pay over the phone. Please note that we can only offer a full refund for any cancellations notified to us at least 48 hours before the event.